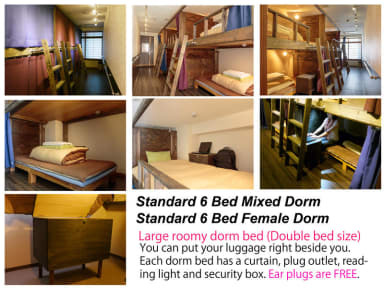 Osaka Hana Hostel, Osaka, Japonia : Rezerwuj teraz! 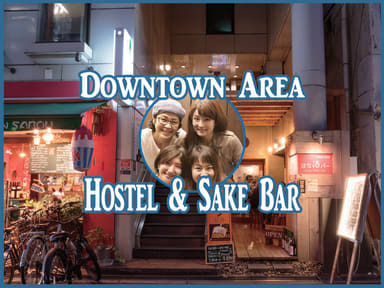 Located right in the middle of downtown 'Shinsaibashi'. Just 2 min walk from Shinsaibashi Sta., Amerika mura or Shinsaibashi Shopping Street. Equipped with a quite large sized loft bed. Each bed has a personal bed light, plug outlet and curtain. Most of our private rooms are traditional JPN style. We have various private rooms such as twin/double/triple/quad ensuite and double/triple/quad private with shared bathroom. Our spacious free equipped common kitchens and living rooms are located on the 2nd and 7th floor. Fully equipped with oil and seasonings, free coffee, tea and green tea are there for your relaxing time.